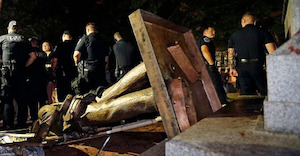 After speculation about where to house the Confederate statue ‘Silent Sam’ that was toppled on the University of North Carolina at Chapel Hill’s campus in August, the university has proposed to move the statue into a new $5 million building on the edge of campus. The plan was presented by university chancellor Dr. Carol Folt and calls for moving the statue a mile south of where it previously stood. If approved, the new building would cost about $5 million to create and would be located in the Odum Village area of the campus, according to NBC News. As a result of the proposal, hundreds of protestors peacefully marched to where the controversial monument previously stood, which was guarded by university police who stood behind metal railings, NBC News reported. 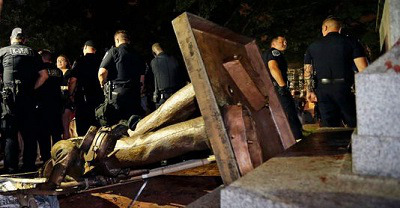 University of North Carolina Board of Governors will have the final say about where the statue will reside and is expected to discuss the matter during a Dec. 14 meeting.